It's our hope that you found us because you want to know more about wine than you know already... perhaps just a little more, perhaps a lot. Whether your experience has been broad or this is your first sip from the glass, there’s always more to know. And while the offerings of the wine world are nearly endless, they can also be daunting. In fact, if you ask most people anything about wine, they’ll say something like, "I don’t know anything about wine... but I know what I like." Well we think that "What I Like" is a great place to start. TheWineArray has been designed and built to put the focus back on what you like rather than on reviews or ratings. We have found a better way to bring information and understanding to the wine drinking public. Our collective of great sommeliers from NYC's top restaurants, break down each wine into tasting components, assuring you an exact match to what you want. As you encounter new wines with us, your "what I like" will expand and you will understand more about why you like it. 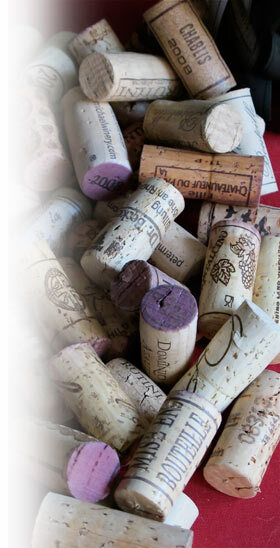 We invite you to a new online community of wine drinking, discussion and discovery.